Perth is a great family holiday destination for travellers who are looking for an alternative summer trip. Located on the western coast of Australia, Perth is a green, European-like city with great outdoor areas and a Mediterranean climate. Kids will love the outdoor play areas, water sports and fun historical activities such as gold-panning – whilst teenagers will enjoy the shopping opportunities and Australian atmosphere! 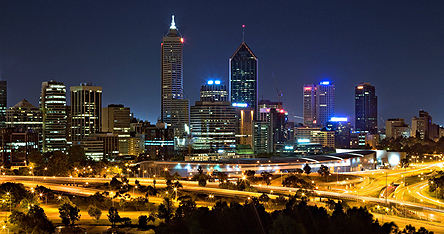 Perth is the capital city of Western Australia and is an independent and free-spirited place to visit. It’s somewhat isolated from the other large Australian cities of Melbourne and Sydney, and this gives Perth a cosmopolitan and laid-back feel. It’s perfect for a family holiday because not only is the weather mild year-round, but there’s also a wealth of attractions for children of all ages. For younger children, Perth is a great place to learn about the history of Australia. The area had been inhabited by the WhadjukNoongar people before European colonisation, and there are a number of archaeological sites and historical museums to interest children. There are also a number of science attractions in the Perth area – from Scitech, a museum of exhibitions, a planetarium and even rides – to opportunities to try gold-panning whilst learning about those who got rich from finding gold. These are great educational attractions which will entertain both kids and adults! Kids will also enjoy the wonderful outdoor areas of the Perth surroundings. From parks which can be explored together through to walks along the ocean-front, there’s a wealth of outdoor activities to be found around Perth. There are also great opportunities to enjoy some family watersports, or for a rainy afternoon, there’s always the Aquarium too. Adults will love getting out of the centre of Perth to explore the beautiful natural surroundings – and Australian wildlife! Rottnest Island is a car-free beach lined island not far from the western coast of Oz, where visitors can hike, take part in sports or see the quokka – a small kangaroo like animal. Lake Magic is a great place for some relaxing sailing or canoeing, whilst Swan River runs right through Perth, and also offers visitors the chance to see wildlife, try yachting or even enjoy a family fishing trip. Teenagers will love Perth and its opportunities for shopping in a number of funky boutiques, bookshops and music stores. From the bargains which can be found at the Subiaco Pavilion Markets to the designer clothes which are offered at a number of the high-end stores, shopping is a great way to spend the day in Perth. There are also a number of bars which have band nights and live music – which could be a great draw for teens and parents too!